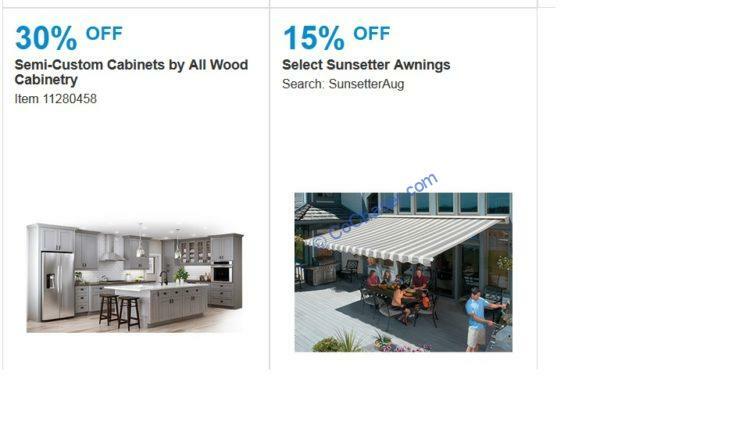 Costco August’s coupon book in 2018 is out now, deals are valid from Thursday 08/09/18 – Sunday 09/02/18. This Costco coupon book is for member-only savings that shows you the latest products and deals that you can earn instant savings when you shop at Costco with these coupons. One of the top August’s discounts on coupon book is HP Pavilion x360 14″ 1080p Touchscreen 2-in-1 Laptop that has $150 off, dripping the piece to $549.99. Lenovo Legion Y520 15.6″ Gaming Laptop is on sale, taking $150 off, bringing the price down to $999.99. Samsung Galaxy Tab A 10.1″ Tablet with Bonus 32GB MicroSD Card has $90 off, the final price is $129.99. LG 70″ Class 4K UHD LED LCD TV is $1,069.99. NightOwl 8-Channel 5MP DVR Wired Security System with 4 Camera has $50 off. Hamilton Beach Water Coole has $35 off, the final price is $134.99. Circulon Premier Professional 13-Piece Hard Anodized Cookware Set has $50 off, bringing the price down to $149.99. KitchenAid 6-Quart Bowl-Lift Stand Mixer gets $100 off, dropping the price to $249.99. Oral-B Professional Care Rechargeable Toothbrushes 2 pk has $40 off, dropping the price to $59.99. True Dormeo Manager’s Chair gets $50 off; the final price is $129.99. The tire coupon is for Bridgestone at $70 off, when you buy any 4 tires.